Wize Monkey has provided me with Minty Marvel for the purposes of providing an honest review. If you’ve been reading One More Steep for a while (and I hope you have! ), you know I reviewed Wize Monkey’s Minty Marvel back in May of this year. And no, I’m not reviewing the exact same product – Wize Monkey had an updated blend for their Minty Marvel flavour so of course I had to give it a try! They kindly sent me a 50g resealable bag of Minty Marvel in loose leaf format. When I first opened the bag, the one thing I did notice is the incredibly strong and bright mint aroma. 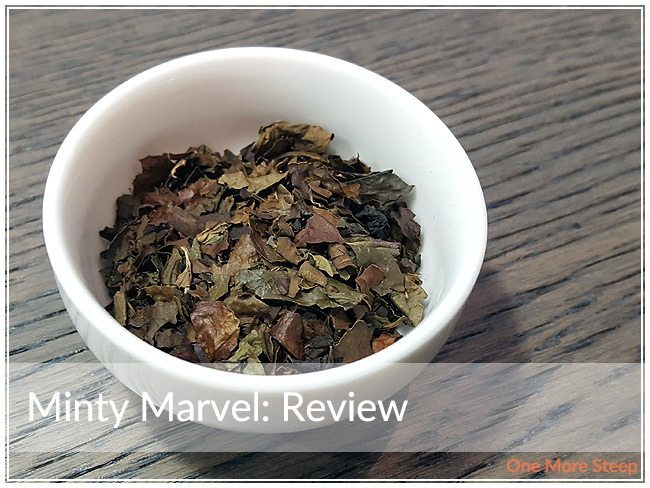 The ingredients in Minty Marvel are: arabica leaves, peppermint leaves, and natural mint flavouring. Wize Monkey recommends steeping Minty Marvel at 95°C (200°F) for 4 minutes. 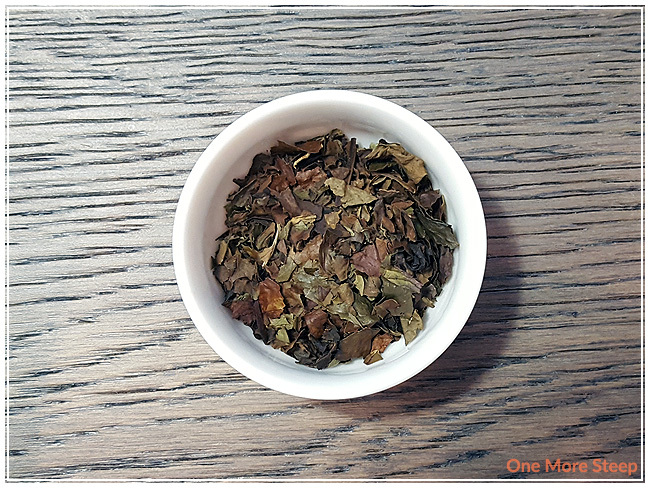 I followed the steeping recommendations for the initial steep of Minty Marvel. Minty Marvel steeps to this beautiful golden orange. 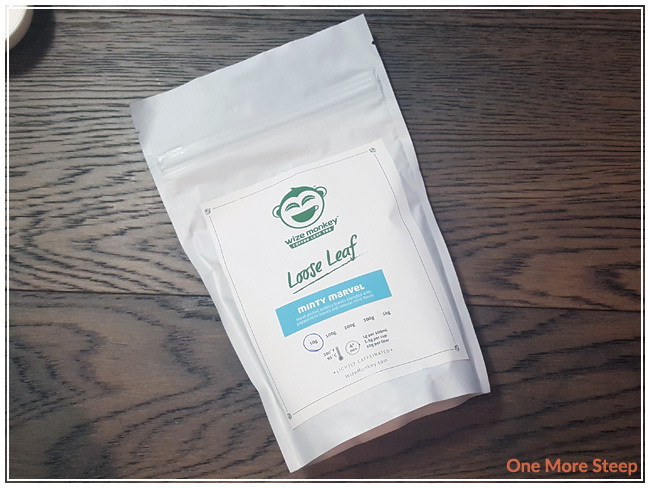 The aroma from the dry leaf is primarily that of the coffee leaf base and the pleasant aroma of the peppermint. On first taste, I can definitely pick out the mint. It has a nice cooling quality to it, that is pleasant and refreshing. I find that the mint is quite strong in comparison to the coffee leaf base, which isn’t disconcerting considering that’s what I wanted in the original Minty Marvel recipe. 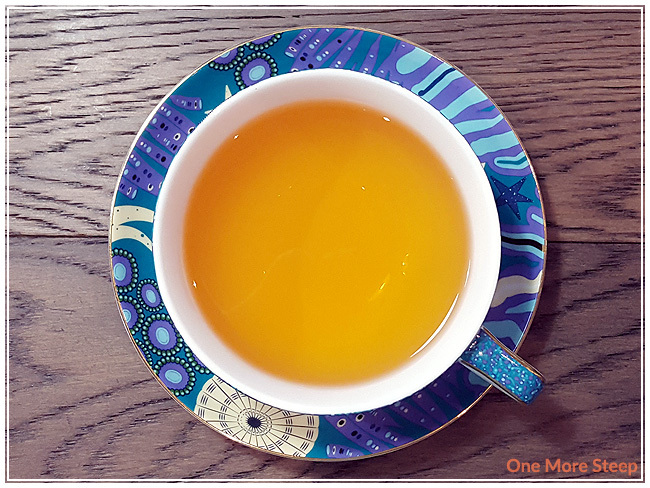 I found it to be a nice cup of tea to drink. I resteeped Minty Marvel for 7 minutes, and found that the flavour was still quite minty. It wasn’t as strong as the initial steep, but I could definitely taste the mint and the tea had a nice cooling quality to it still. I loved Wize Monkey’s Minty Marvel. 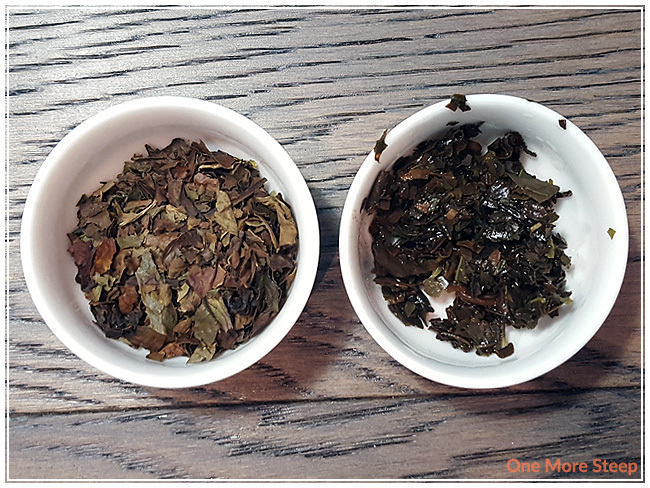 I’m so glad that Wize Monkey changed up their recipe a bit for Minty Marvel because the added peppermint leaf was such a great idea – it made the coffee leaf tea significantly more minty in the initial steep and in the resteep as well. I also had a cup of this that I drank iced, and found that it made for a refreshing cup of iced tea, so I’d give that a try as well! Having Minty Marvel iced certain amplified the cooling properties of the mint.